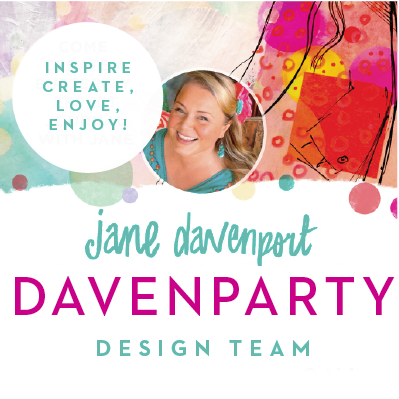 Home / American Crafts / Davenparty Design Team Call! 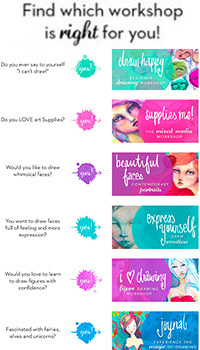 Are you super-creative, love art supplies and feel ready to show the world your artwork? 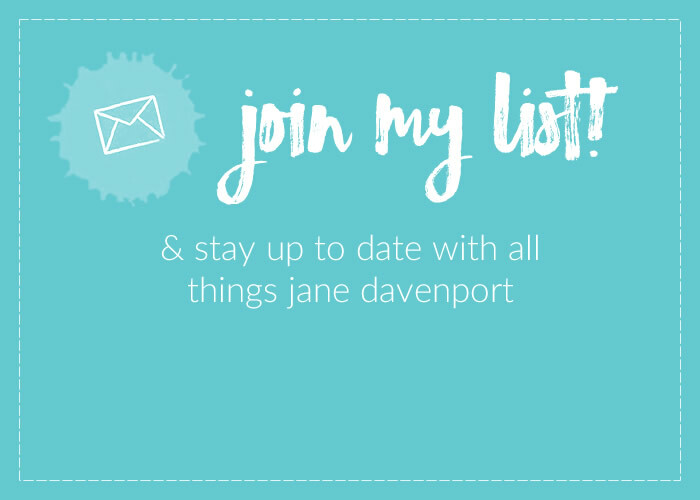 Then I want you to read on and join the DavenParty! I want to inspire people who enjoy all sorts of creative leanings and I need help to do that because I simply cannot create everything! 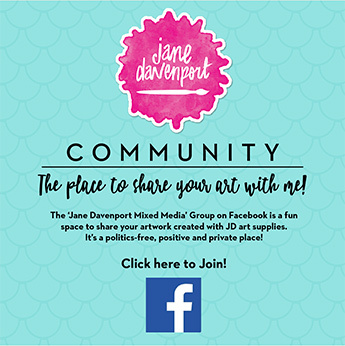 We are looking for peeps who can create in a variety of media and genres such as papercrafting, fine art, mixed media, textile arts, cardmaking, sculpture, art journals, drawing, painting…. everything! 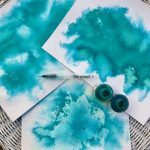 The projects you share can be very simple – from a beautiful stand-alone photo of a finished piece that was made using parts of my new range, to a short instructional video or pictorial walk-through of a technique, or a sped-up version of you working on something with my art supplies…. or more complex – you might want to create a series or a pdf – or…. or .. or – well, that would be up to you! The sole idea is to help me inspire people and create happiness in the world. 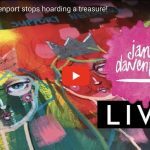 I want the DavenParty to help me show everyone that there are NO LIMITS to where, when and how creativity can take place. You don’t need a huge social media following, but you do need a profile on Facebook and Instagram and a Blog. This is so you can share your work. 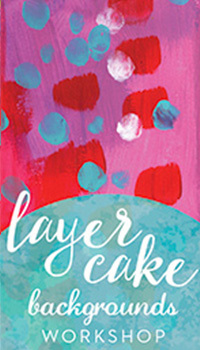 Thinking of inventive, fresh wonderful ways to use the supplies in my range will be your mission! It will be fun, exciting and give your artwork and ideas wonderful exposure. Go on, be brave and apply! I am enjoying wonderful opportunities now because I was brave and got my work ‘out there’. As I have learned time and time again, you just never know who is going to see your work and be touched by it. You won’t know how many hearts and lives you can touch unless you share your work. Yes, I know it can be terrifying, but do it anyway. It does get easier! 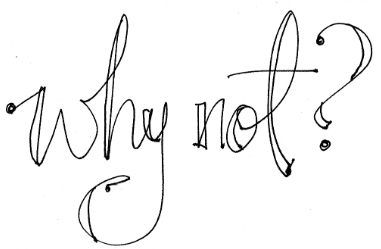 “Why not?”. I catch myself saying these simply two words many times every day. For some reason they normlize a decision and help me take pressure of myself. If you apply for the Design Team, I can’t promise you will be selected, but I can promise you will be welcome! And he! You may or may not be successful – that doesn’t matter. There will be other opportunities in the future – and I will be proud of you! Let me know on a comment here if you are going to apply! I am using the samples and let me tell you about the range: adore. They get better and better as I work out new ways to use everything. I have a head, heart and journal full of ideas and inspiration for your own creativity. ‘Cos that’s why I do this stuff. I love seeing people get their creative spirit alive! Making art makes us happy. The ONLY part of this journey I struggle with is having to keep things secret because I get so excited about it all! 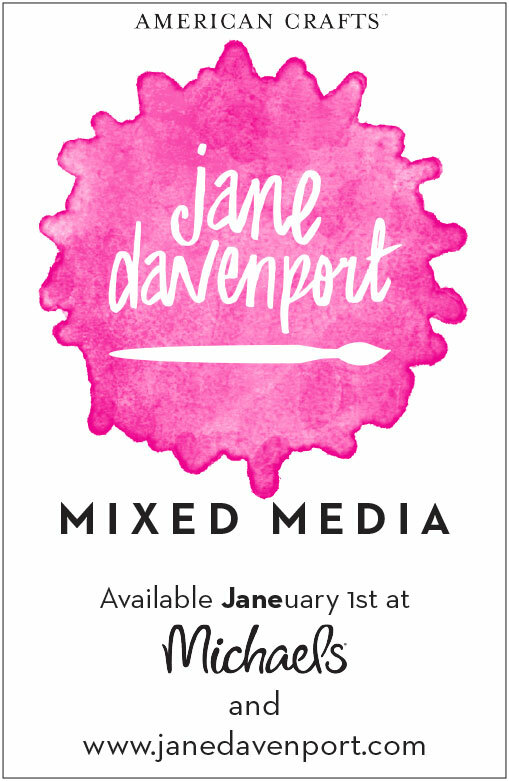 But as we get closer to the launch day on JANEuary 1st (hah!) I will have a few more sneak peeks for you. Instagram is where I share on a daily basis. Congratulations to all the selected 2017 Davenpeep team members!!! 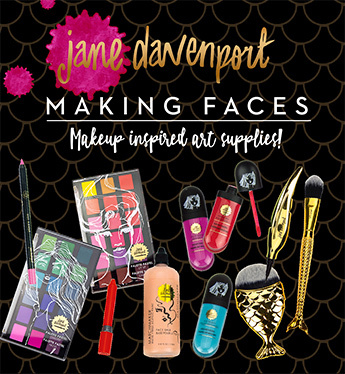 I am looking forward to trying Jane’s new product line and learning from your creations. ’17 is gonna rock!!! I definitely applied and am anxious to learn the outcome! I’m still so excited! I am excited to say I applied too! Does anyone remember Natalie Wood as a child actress in the Christmas movie “Miracle on 34th Street” from 1947 with with Maureen O’Hara, John Payne, Edmund Gwenn, Gene Lockhart ? @Clair Bull That’s my favorite version of Miracle on 34th Street! Such a beautiful film. I did it! I applied. I’ve been a closest artist for way too long. P.S. I love your new website design–looks fabulous! Hi from Spain! I just applied and I am very excited. Thanks for the oportunity! I’ve applied! Super scary but what have we all got to lose? 🙂 Good luck everyone! Ok its D-Day and I’ve been talking myself on and out of applying. I decided to feel the fear and do it anyway! 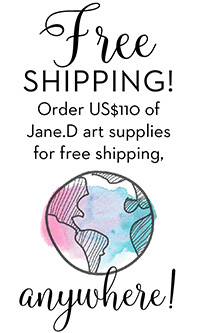 I’m a bit of a new kid on the block, but i love mixed media and Id love to get my hands on your gorgeous art supplies. 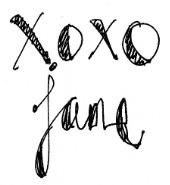 I love your work Jane. Just applied. Wow–that was hard to pick the pictures, and to put myself out there : ) Thanks for the opportunity. The simple question, What if? is really getting to my head. My brain says. 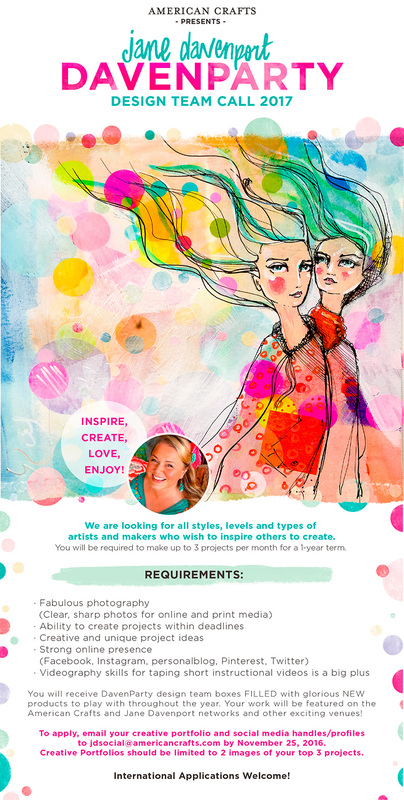 “I don’t think you can do this.” My heart keeps whispering, “Chrystal dream big.” I am scared but I am applying. I feel so silly Jane, in all of the excitement of applying, I misspelled my Instagram account info in the email address for the application. If it matters, my Instagram profile is (chrystalcreswell). I noticed I had forgotten to put the H in my name. …thank you for dreaming this idea up. I still can’t believe you have given alll of us a shot at this! I did and thanks for the opportunity. Yes! Why not!! I am applying. And hoping. This would be exciting. Thanks for the opportunity. OMG! How amazing would this be? Bring on Janeuary!!!! You are such an inspiration Jane. What an exciting project! Next year my husband and I are sailing our boat from New Zealand to Canada, so I’m going to have some interesting work spaces and inspirations- it will certainly be a case of creating anywhere! I’ll have a go at applying! I’m so excited about this! What a great way to encourage and inspire, bring hope, love to others. I’m just happy to have opportunity to apply. Thank you Jane!! Oooh! Ladies – Let’s make it so difficult to decide they have to choose us all! 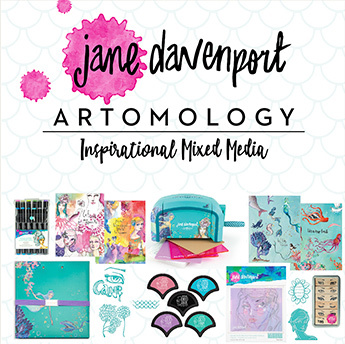 Thank you for sharing the opportunity Jane and to anyone sitting on the fence – why not give it a try – your work is AWESOME! And why wouldn’t I send some great art in! Be still my heart! I think I’m going to be brave (breathe Sophie breathe, don’t blow out) and apply! Oh my my! It’s good to be brave and a little bit of crazy! 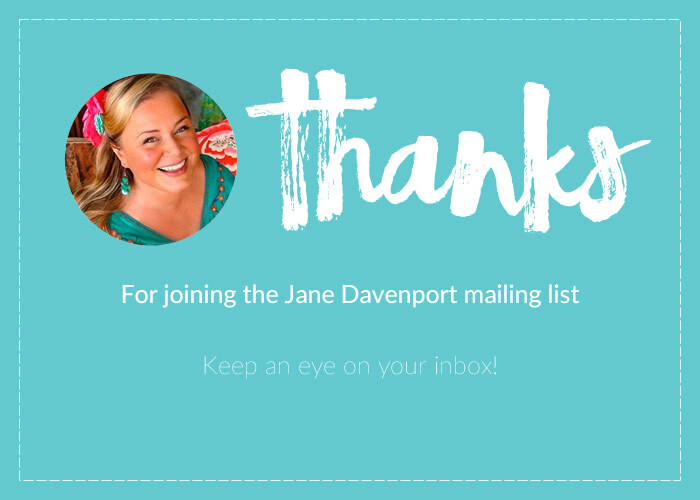 Thanks Jane! I look forward to submitting the application info Jane! Thank you Jane.. I would like to participate as well. I’m glad I found this opportunity. Thank you Jane. Thank you for opening this opportunity to all of us. One question – is it 2 pictures of each of our top 3 projects, or 2 pictures total that contain our top 3 projects? I will apply right away. Oh what the heck! Count me in! Thank you Jane for giving us such a great opportunity. You have facilitated my creative journey so much this year, I can’t wait to see what’s around the corner. Nervous as hell but why not! Oh my, I really want to apply to this. I totally am going to do that. I am super excited over your brand of supplies – I know they will be wonderful. I am a supply addict LOL and I love to try new supplies and colors ! Yes!! I’ll follow your dads advice, and why not!? I’ve challenged myself this year, so why stop now? I just love watching your art videos, including hearing that gorgeous Australian dialect I sometimes miss so much to hear.